Electric Vision iV concept recently shown at Geneva. Production of this fully electric 4-door crossover-coupé, the brand’s first car built on the VW Group’s modular EV platform will begin in 2020. Skoda will launch 30 new models by 2023, at least 10 of which will be electrified, the Czech brand has announced at its annual conference. Its electrification strategy will kick off this year with the launch of the Superb plug-in hybrid and the electric Citigo city car. 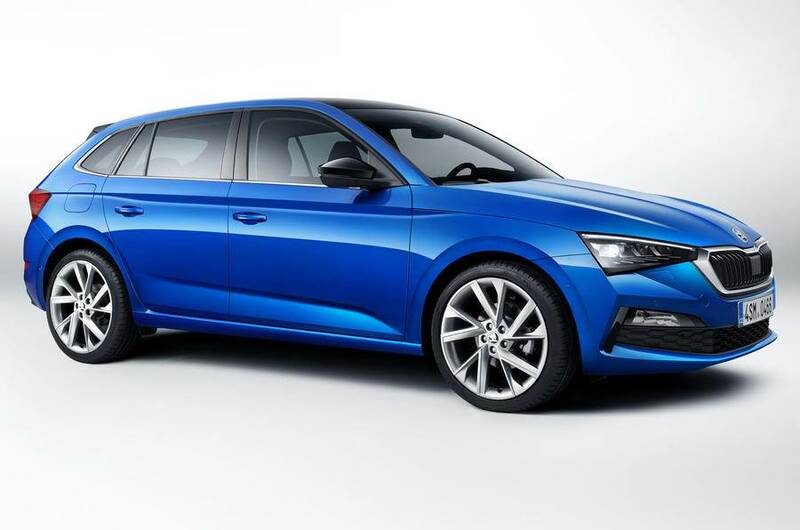 More imminent arrivals in the broader model line-up include the recently revealed Scala hatchback and Kamiq SUV, as well as a heavily updated, not-yet-seen Octavia – Skoda’s biggest selling model – later this year. Maier also said Skoda plans to make all its Czech production plants CO2-neutral in the second half of next decade. He added that it is endeavouring to make its cars as environmentally friendly as possible and flagged the new Scala (pictured below) as having 85% reusable or recyclable materials. Skoda is also ramping up its roll-out in India, where a small SUV will be unveiled next year. Since taking over management of the region for the Volkswagen Group in 2018, Skoda has opened a technology centre in Pune, India, which it describes “as the first major step in the implementation of the project”. It will localise 95% of production of the vehicles, which will be both Skoda and Volkswagen models. In July 2018, the Volkswagen Group confirmed a Rs 7,900 crore (1 billion euros) investment in the ‘INDIA 2.0’ project, which will primarily be used in developing Skoda Auto and Volkswagen vehicles for the Indian market. The first of these models will be a midsize SUV in the A0 segment, which will be unveiled in 2020.